I recently read an article about headphones stealing 3.5 days of my life. I’m not a young man any more and I want to maximize the amount of time I have left on this earth. In order to do so I took it upon myself to find a pair of headphones that are wireless and don’t need me to give part of my life to them. 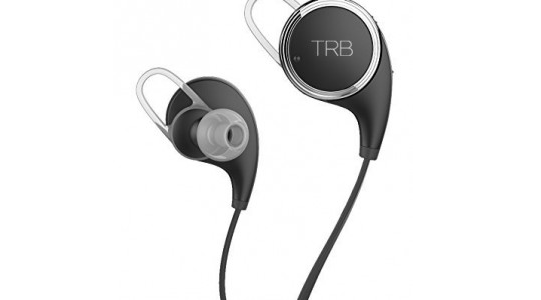 I found what I was looking for with the Tribe TRB Wireless Bluetooth Fitness Headphones! I work in a crowded office where a lot of conversations are going on all around me. I often need to focus on a given task for an extended time and have a difficult time doing so when everything is going on around me. I have an old pair of ear buds that I’ve used for a while now but they only drown out so much. I’ve tried over the head headphones but I have issues with those as I have an abnormally large head and wearing them for an extended time gives me a headache. I bought the Tribe TRB Headphones in the hopes that they would be able to give me the peace and quiet I need to be able to do my job effectively. To be honest, when I first opened the package and looked at the headphones I was not all that impressed. They are a little bulkier than I thought they would be from the product listings on Amazon and I was worried that wearing them would be awkward. 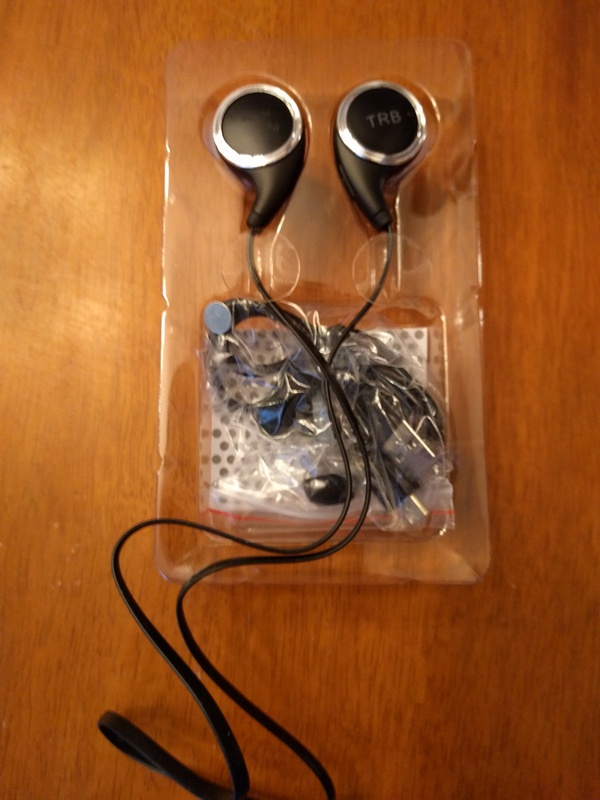 The package came with the ear buds, some other sizes for the earpieces, a charging cord and a random neodymium magnet (I’m pretty sure the magnet was not intended to go in the package but fell in somewhere during the packaging process). Despite my reservations I dove in and decided to give them a run. I found they were just what I was looking for! The sound quality is very good and even when not playing they cut out almost all background noise! The one problem here was that when they were paired with my phone on the lowest setting they were a bit louder than what I would normally listen to my music. They were OK with my tablet and computer though. The Bluetooth connection is nice and stable and holds up for a good forty feet or so. It was easy to pair with my phone and had no issues staying connected. The headphones come with a volume control and play/pause buttons on the right earpiece, they worked well and there was only a slight delay when using the play/pause button to control Pandora or Google Play Music. Battery life is advertised as being eight hours. I was able to pull out about seven hours of steady usage before they died on me. I charged them overnight and was ready to go the next morning. I would definitely recommend these to anybody who loves their music and is looking for a good pair of headphones! For a full features overview check out Tribe’s video below. If you’re looking for a pair for yourself you can order them from Amazon here: Tribe TRB Wireless Bluetooth Fitness Headphones. Wireless Charging for the Pixel XL!!! Samsung Galaxy S8 Real Life Full Review (Two Months Later)!